This is your guide to safety when you ski or snowboard at Sierra. We prepare the mountain each day for you and this guide is designed to help you - our valued guests - ski or snowboard safely and responsibly while having a fun experience with your family and friends. Providing education on how to ski and snowboard responsibly, including lessons from qualified instructors. Training ski patrol to provide first aid, assess mountain safety, post warnings and conduct avalanche mitigation (when necessary). Conducting ongoing lift inspections and maintenance, working with regulatory agencies and training staff to safely operate lifts. Monitoring weather and mountain conditions and modifying operations when appropriate. Providing trail difficulty rating symbols specific to Sierra's terrain and using industry-approved signage to direct and educate guests. This guide is part of our commitment. Learning and practicing what is contained in this guide, using common sense, and making good decisions will contribute to your safety and the safety of all guests. Please be responsible, aware and courteous at all times to ensure the safety of all guests. We are committed to the environment and safety in everything we do. From day-to-day operations to long-term planning, we're always keeping your safety and our environment's best interests in mind. Maybe that's why we've won numerous awards for outstanding dedication to safety and the environment. Remember, respect gets respect. Here are some great tips to ensure you have the very best and safest time possible while up here. Sierra has added several areas to the mountain called slow zones which visibly designate an entire run or area as a “go slow area”. These zones are signed with 15 mph speed limits and are patrolled by Ski Patrol and Mountain Safety. One of the slow zones is Sugar N’ Spice, a 2.5 mile beginner run that starts at the very top of the mountain, allowing beginner skiers and riders to access the mountain via Grandview Express and take in the spectacular views from the top. Other slow zones include the beginner runs of Ego, Corkscrew, Echo and Lower Sleighride. Together, the slow zones provide an easy way down on speed-controlled runs offering beginner skiers and riders or families with young children a non-intimidating route down the slopes. Remember, you can't have love without a little R-E-S-P-E-C-T.
Use properly maintained equipment. Have bindings inspected and correctly adjusted by a certified technician. Dress in water- and wind-resistant outerwear and layers to accommodate changing conditions. Use sunscreen and wear goggles or sunglasses. The sun at altitude is intense, even on cloudy days. Skiing and snowboarding are active sports. Know your physical limits. Take a lesson. Every experience level can benefit from professional instruction. Ski or Ride in Control. Be aware of your surroundings at all times. Ski or ride at a speed you are able to safely stop and avoid others and objects you may encounter. Look Out for Hazards and Obstacles (natural and man-made). Sierra uses poles, flags, discs, ropes, fencing, signs and other devices to provide visual warnings. We can not mark all hazards and obstacles. Be aware of changing conditions. Do NOT go under ropes or enter closed areas. Ropes and closures are in place for your safety. Do NOT Ski or Ride Impaired. It is unsafe and against the law. Be responsible with alcohol and consumption. Stay Hydrated. Your body requires more fluids at higher elevations. Know Your Limits. If you're tired, STOP. If you're injured, contact Ski Patrol. NO Horseplay. Always be respectful of others. Look Out for Over-Snow Vehicles. They may be on the slopes heading uphill or downhill, so stay clear of them at all times. Skiing can be enjoyed in many ways. At ski areas you may see people using alpine, snowboard, telemark, cross country and other specialized ski equipment, such as that used by disabled or other skiers. Regardless of how you decide to enjoy the slopes, always show courtesy to others and be aware that there are elements of risk in skiing and snowboarding that common sense and personal awareness can help reduce. Know your ability level and stay within it. Observe Your Responsibility Code listed below and share with others on the slopes the responsibility for a great snowsports experience. Freestyle Terrain Areas are designated with an orange oval and may contain jumps, hits, ramps, banks, fun boxes, jibs, rails, half pipes, quarter pipes, snowcross, bump terrain, and other constructed or natural terrain features. Prior to using Freestyle Terrain, you are responsible for familiarizing yourself with Freestyle Terrain and obeying all instructions, warnings, and signs. Freestyle skills require maintaining control on the ground, and in the air. Use of Freestyle Terrain exposes you to the risk of serious injury or death. Inverted aerials are not recommended. You assume the risk. 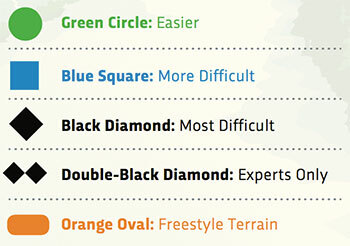 Freestyle Terrain has designations for size - Small features, Medium features, and Large features. Start small and work your way up. Designations are relative to this ski area. MAKE A PLAN. Every time you use freestyle terrain, make a plan for each feature you want to use. Your speed, approach, and take off will directly affect your maneuver and landing. Be advised that you cannot board a lift unless you have sufficient physical dexterity, ability, and knowledge to negotiate or to use such lift safely, or until you have asked for and received information sufficient to enable you to load, ride, and unload the lift safely. You may not use a lift or any ski trail when under the influence of drugs or alcohol. Remove pole straps from wrists and hold in one hand. Remove back-packs and hold in your lap. Remove back foot from snowboard binding. Be lined up with other guests and prepared to load before moving forward from the “Wait Here” area. After the chair in front passes, move from the “Wait Here” area to the “Load Here” area. At the “Load Here” area, look back and grab the part of the chair that is easiest for you, typically a side bar or backrest. When a restraint bar is available, tell others and lower the bar when you can do so safely. SIT BACK and remain seated. Check for loose clothing or equipment (such as backpacks) to make sure it will not get caught. If a restraint bar is lowered, tell others and then raise the bar before the “Unload Here” area. Keep your ski tips or the front of your board up and straight ahead. After unloading, move away from the unload ramp. If you fail to unload at the “Unload Here” area, remain completely seated and wait for further assistance. DO NOT JUMP. Be cautious of snowcats, snowmobiles, and snowmaking that may be encountered at any time. Certain areas (highlighted on the map) are designated as SLOW ZONES. Please observe the posted slow zone areas by maintaining a speed no faster than the general flow of traffic. Fast and aggressive skiing and riding will not be tolerated. Helmets are a smart idea. Sierra encourages you to educate yourself on the benefits and limitations of helmets. If you choose to wear one, please ski or ride as if you are not wearing one. Every winter sport participant shares responsibility for his or her safety and for that of others using the ski area facilities. The ski area assumes no responsibility for skiers or riders going beyond the ski area boundary. Areas beyond the ski area boundary are not patrolled or maintained. Avalanches, unmarked obstacles, and other natural hazards exist. Rescue in the backcountry, if available, will be costly and may take time. Dog is man's best friend. And we agree. But bringing your dog or other pets to Sierra is not encouraged. Not all of our guests like animals, and we like to respect all guests. So please keep your pet home if possible. No one, even your furry friend, likes sitting in a car all day. Trust us, your dog will thank you for it in the end. If you must bring your pet to the mountain, please be aware that they must be on a leash and controlled at all times, and they are prohibited from coming into the base area or on the mountain. We appreciate your cooperation. Sierra trail maps contain a wealth of information, including trail and lift locations, trail difficulty rating symbols, and where to find information, ski patrol, and other mountain services. Trail difficulty ratings are relative to Sierra's specific terrain. A blue square trail at Sierra may be easier or more difficult than a blue square trail at another resort. Work your way up from easier to more difficult trails. When in doubt about a trail or what type of terrain a particular lift serves, ask our staff for guidance. It does NO GOOD for your safety if you are under the snow and your partner is waiting for you at the bottom of the lift. If you have any question about what a “timely manner” is to assist someone in a tree well or deep snow, hold your breath now as you are reading this and the amount of time until you need air is approximately how much time your partner has to help get you out of danger. Other factors such as creating an air pocket or the nature of how you fall into the well may extend this critical timeframe. While snow safety and avalanche mitigation efforts help reduce the risk of avalanches, avalanches and snow slides may occur at ski areas, both inside and outside of the posted boundaries. Avalanches are an inherent risk of the sport due to the nature of snow and its application on steep, mountainous terrain. Become educated on how to reduce the risk of injury or death from avalanches through your own actions and awareness. Visit www.avalanche.org or contact Sierra-at-Tahoe Ski Patrol for further information on the risks and prevention of avalanche-related injuries or death. * View avalanche conditions courtesy of Sierra Avalanche Center. Click HERE for more details. Not only do the Sierra Avalanche Dogs put smiles on countless faces, they also save lives. 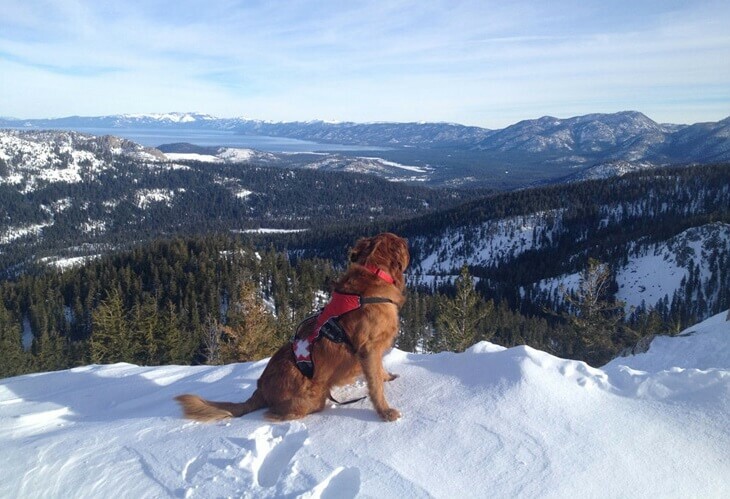 Sierra Avalanche Dogs Inc. is a 501 C-3 non-profit that was initiated in the 2011/12 ski season. The purpose of the fund is to help with the maintenance and training of the Avalanche Rescue Dog Teams at Sierra-At-Tahoe. Our Dog Teams are trained to a high level of competence, in both dog and handler, increasing the potential for live recovery of humans in the event of an avalanche incident. Our program is structured on the Switzerland Standards for Avalanche Rescue Dog Training. The dogs also provide avalanche awareness through education at local schools and public relations. 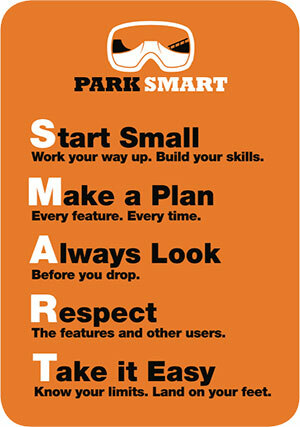 ​The National Ski Areas Association and Burton Snowboards have developed the "Park Smart" Terrain Safety initiative, a cooperative effort to continue the proper use and progression of freestyle terrain at mountain resorts, while also delivering a unified message that is clear, concise, and effective. MAKE A PLAN - Every time you use freestyle terrain, make a plan for each feature you want to use. Your speed, approach, and take off will directly affect your maneuver and landing. Photography is allowed across the resort and at all events. 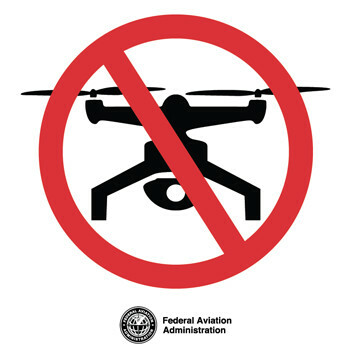 Please note, however, that drones and all other unmanned remote-controlled aircraft are not permitted to be flown anywhere on resort property for photography, video or any other use. This restriction includes aircraft that would be launched off-site but subsequently flown above resort property. Violation of this policy may result in the suspension of your skiing / riding privileges at Sierra-at-Tahoe. Celebrating the team that keeps us safe on the mountain all season. Thank you Sierra Ski Patrol.